The annual All British Car Days show was held on September 27th 2015 in Georgetown, Texas. 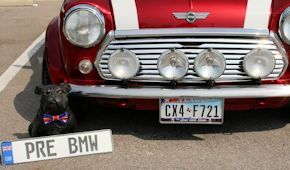 This is the definitive British car show in Texas and offers hundreds of cars from across the state to the many hundreds of spectators. We have 401 images in our gallery below… and it would have taken 800 to even begin to get fair coverage. The great thing about this show is the people first – they’ll be more than glad to talk about their car as well as anything British with wheels, and then the cars – which are fascinating in their detail. Enjoy our gallery below! Click on the thumbnail for a full size image.